PLCT hoses are designed for full flow applications. 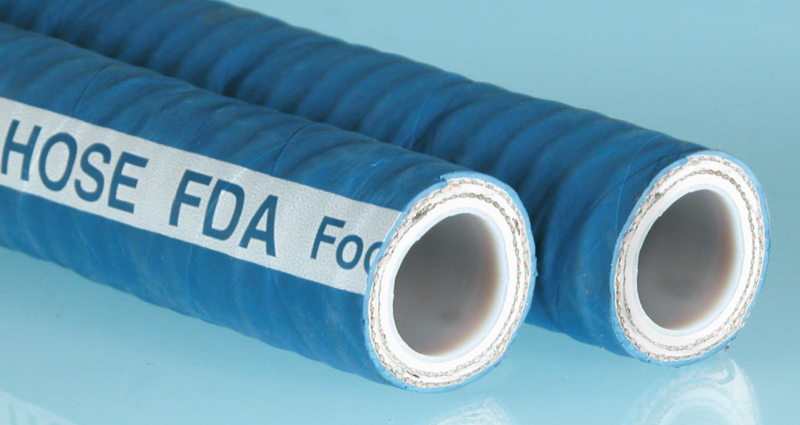 The Internal hose is produced with PTFE resins FDA approved (static conductive tube also available), EPDM blue cover is also high temperature resistant. Smooth Teflon innercore bonded to rubber. Multiple reinforcements, double helix wire supported. Chemically resistant, ozone and abrasion resistant cover. • Easy to clean: assured sterility, non-stick smooth tube, can be cleaned with steam, caustics, solvents or other cleaning agents.